This thread is about installing an FC water pump onto a 12A plate. The FC water pump housing is aluminium, so it's a weight saving for a start. The FC pump is also less prone to cavitation at higher rpm so is a better unit. You need to remove some material from the 12A front cover to make it fit. Not much though. See pic. 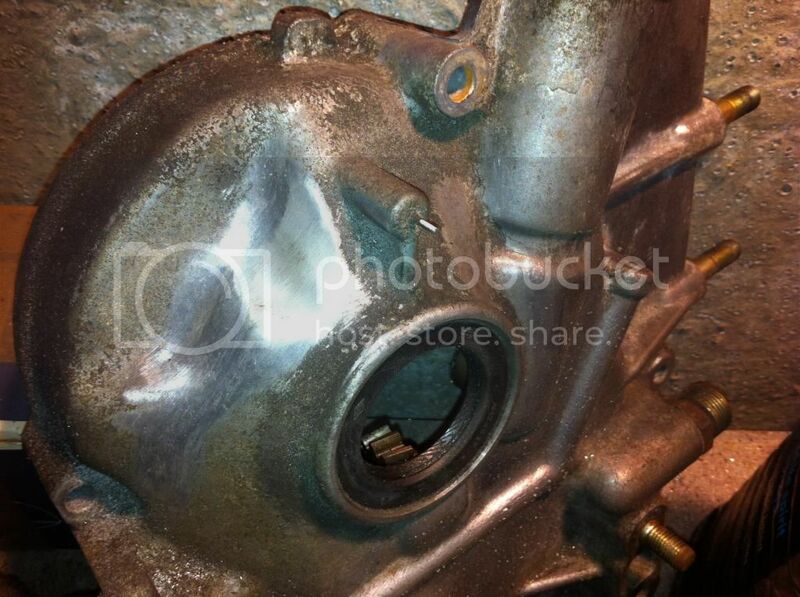 You also need to take a similar amount off the back of the water pump housing. EDIT: the same applies if you want to fit a 12A front cover onto an FC engine to install in an FB using a front mount.